While completing her undergraduate studies in pulp and paper engineering at the Indian Institute of Technology – Roorkee, India, CCE Assistant Professor Meghna Babbar-Sebens became keenly aware of water management issues and identified her interest in water resources and environmental systems analysis. “My undergraduate studies triggered a passion to pursue a career that would address issues related to sustainable management of water in our environment,” said Babbar-Sebens. Throughout her studies, Babbar-Sebens excelled in courses that employed mathematics and computational thinking in solving engineering problems. After completing her bachelor’s degree, she was motivated to learn more and decided to pursue graduate school. She joined the Master of Science degree program at the University of Illinois at Urbana-Champaign, where she used interdisciplinary optimization techniques based on evolutionary principles to solve complex groundwater management problems. Her research gave her the opportunity to consider original and creative ideas that were based on concepts she had learned in mathematics, computer science, operations research, and water resources engineering. 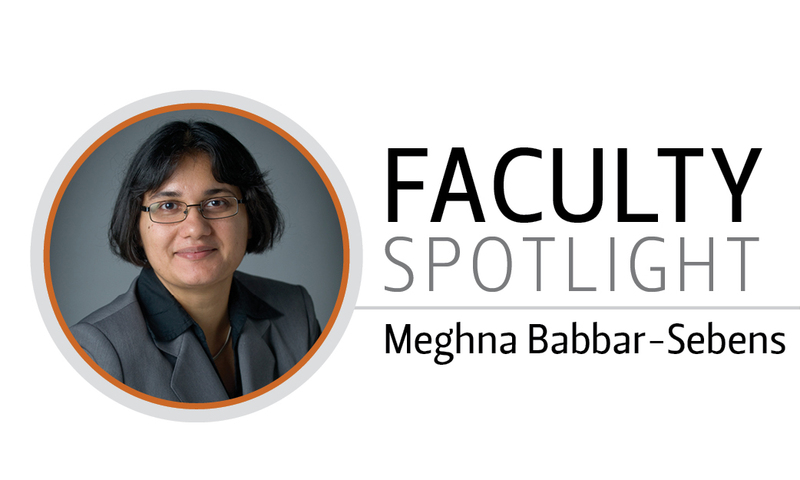 Following her master’s, Babbar-Sebens continued to conduct further research at the University of Illinois on groundwater contamination and monitoring issues, earning a Ph.D. in Environmental Engineering from the Department of Civil and Environmental Engineering in 2006. As a postdoctoral research associate at Texas A&M University, Babbar-Sebens expanded her research to surface-water and water quality issues, applying a variety of modeling techniques to simulate aquatic contaminants at the scale of streams and watersheds. Today, Babbar-Sebens examines how innovations in computer science and information technology can address the critical water challenges of our times. Babbar-Sebens and her collaborators have developed a web tool, Watershed REstoration using Spatio-Temporal Optimization of Resources (WRESTORE), which enables stakeholders to view and design various conservation options – such as wetlands and buffer strips – in a simulated watershed environment. Using interactive optimization methods, WRESTORE presents the best possible solutions that users will most likely prefer, based on their feedback within the web tool. Babbar-Sebens and her research group are also examining the effectiveness of green infrastructure practices in mitigating flooding and improving urban water quality. At the OSU-Benton County Green Stormwater Infrastructure Research Facility, Babbar-Sebens and her team are identifying how a network of sensors can be used to rapidly assess site-scale performance of bioswale designs. Her team is also monitoring and examining site-scale practices to develop better prediction models for watershed-scale processes. Through interdisciplinary approaches, Babbar-Sebens is conducting research that will assist communities in their efforts to design more resilient watershed landscapes. 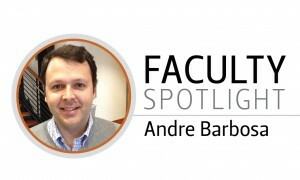 Assistant Professor Andre Barbosa, who joined the CCE structural program in December 2011, is pursuing a variety of research interests that will contribute to a safer and more resilient built environment. Through research, outreach, and advocacy, Barbosa aims to increase overall community resilience. Prior to earning his Ph.D. at the University of California San Diego, Barbosa worked for seven years in private industry, designing buildings and bridges – and much of that experience serves as the foundation for his current research that spans reinforced concrete, steel, and timber. “What I’m most excited about today is CLT (cross-laminated timber) and its potential in Oregon and in the U.S.,” said Barbosa. Presently, Barbosa is conducting research on CLT as an alternative to other building materials such as steel or concrete. More commonly used in Europe, CLT is beginning to be adopted in the U.S. because it features considerable savings in cost and construction time and is renewable as compared to traditional materials, especially for mid-rise building construction. CLT is formed by adhering panels of wood under high pressure and is assembled in perpendicular layers to prefabricated specifications. As one of the world’s premier timber producing regions, Oregon could benefit economically from an increase in CLT as a popular building material. Barbosa’s research also focuses on performance-based engineering (PBE), a concept in which structures can be designed to not only withstand a major hazard such an earthquake, but also remain functional immediately following the event. Many structures built to contemporary standards withstand hazards with life-safety as a primary concern; yet the structures can suffer immense damage that makes them uninhabitable after an extreme event. “After a major event, we want the community and their activities to continue,” said Barbosa. Barbosa plans to provide engineers with continued education on PBE tools and techniques geared towards improving structural performance and resilience. Currently, Barbosa is working on improving local resilience by assisting a Corvallis community group in their efforts to retrofit existing structures to withstand earthquakes. The majority of U.S. structures are privately owned and have not been retrofitted appropriately, thus efforts to increase awareness of the importance of retrofitting is vital for communities. With the same goal of improving community resilience to extreme hazards, Barbosa is developing research as a co-PI in the National Institute of Standards and Technology Risk-based Community Resilience Center of Excellence. In addition to his local efforts, Barbosa has conducted international research, including a recent trip to Nepal as part of a National Science Foundation-Rapid Response Research team that he led this summer. The team assessed the damage of reinforced concrete structures with masonry infills as well as masonry buildings by acquiring structural data through ambient vibration testing, ground-based LiDAR, and other more traditional damage assessment methods. In collecting the data, Barbosa provided valuable information to assist the local rebuilding efforts in Nepal and also acquired pertinent data that will be used to assess current US guidelines on existing structures. 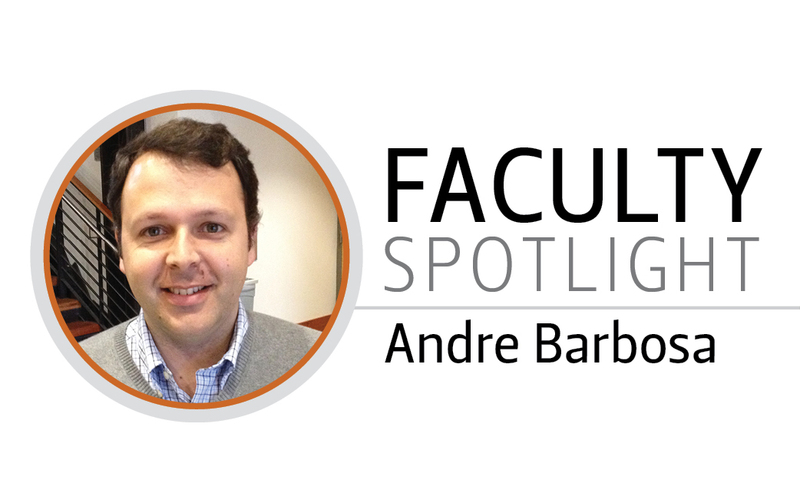 Through all of Barbosa’s efforts he seeks to increase the resilience of local, regional, and international communities through a combination of research, outreach, and advocacy.